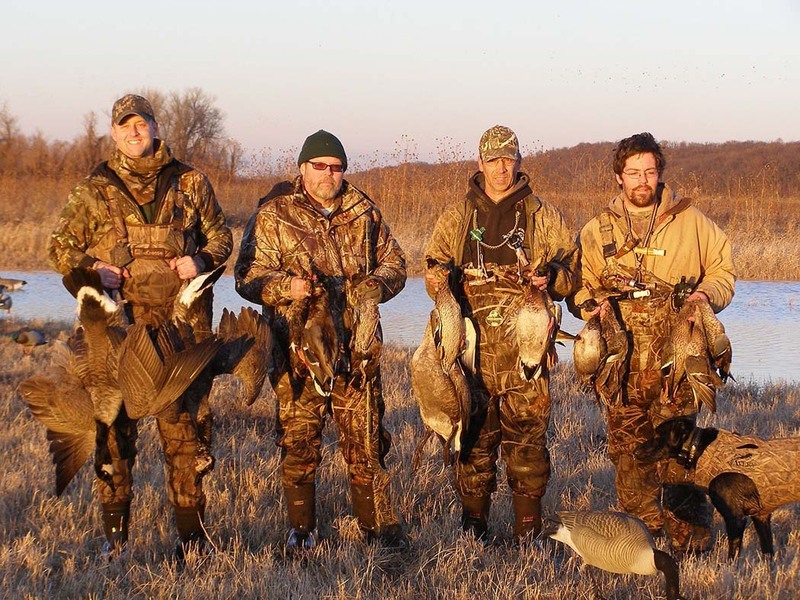 Missouri provides some great opportunities for sportspeople who love goose hunting. Before leaving for a fall hunting trip, there are a few things you should do to make sure the trip will be successful. You'll significantly increase your chances of having a successful Missouri goose hunting trip if you take advantage of a professional goose hunting services. Not only will the guides have a better understand how the geese behave during hunting season, but they will also have access to many hunting areas you wouldn't otherwise be able to go. The professional goose hunting guide will also make sure that you're properly licensed to hunt in Missouri and will stop you from having bad encounter the local DNR. The only problem with guided Missouri goose hunting trips is that there's a limited amount of experts. Their hunting date’s fills up fast, so you don't want to wait, contact them to book a trip as soon as you pick out your dates and preferred species. The last thing you should do is just throw your things into the truck and hit the road for your guided Missouri goose hunting adventure. A couple of weeks before the hunt, you need to get out all of your equipment and really inspect it. Everything should be in great shape, if it's not, you need to pick up replacement hunting gear. It's simply not possible to go on guided goose hunting trip and not get a little wet and there's nothing that's more miserable than sitting around all day in a blind waiting for a flock of geese to decoy when you’re wearing wet, cold clothing. The best way to save yourself from such a fate will be tucking a couple extra pairs of socks and gloves into your blind bag before you leave the hotel. They don't take up much space and if you get wet, you'll be glad you brought the spares along. Tucking one or two plastic bread bags into your gear will give you a quick fix if your boot develops a hole in the middle of your trip. In addition to making sure you bring warm clothes for yourself, make sure you also pack towels, blankets, and vest for your hunting dog. You don't want them to get sick or your vehicle totally wet while you’re on your Missouri goose hunting trip.